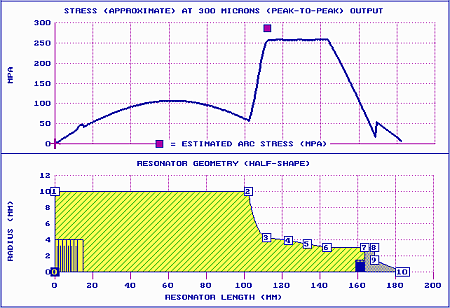 Computer Aided Resonator Design (CARD) applies quantitative techniques to the design of ultrasonic resonators that vibrate longitudinally. 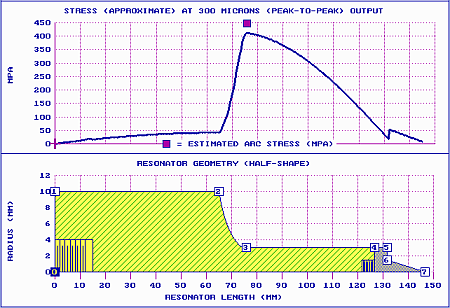 These resonators would have low-to-moderate complexity for operation at frequencies up to about 100 kHz. CARD is especially useful for designing thin resonators where stress must be minimized (e.g., surgical cutting/sealing devices), especially when these resonators are subjected to static loads. CARD automatically adjusts specified resonator dimensions in order to tune. CARD can also automatically adjust the resonator's gain. CARD is relatively easy to learn and use. See the User Manual for additional information. Note — CARD runs only under Windows 7 or greater. System requirements are minimal. 1. Close the User Manual if it is open. 2. In Windows Explorer, right click on the User Manual file. 3. In the resulting context menu, click on Properties. 4. In the General tab of the resulting menu, click Unblock at the bottom. Then OK. This manual will be substantially updated during the first quarter of 2019. 1. The interface and help are currently being revised. Please check back periodically for the latest versions. 2. The stand-alone User Manual (above) may be newer than the one in the full CARD version. Therefore, you may wish to download it separately. Then after CARD has been installed you can copy that User Manual to the CARD installation folder. Just remember to unblock that file (see above).